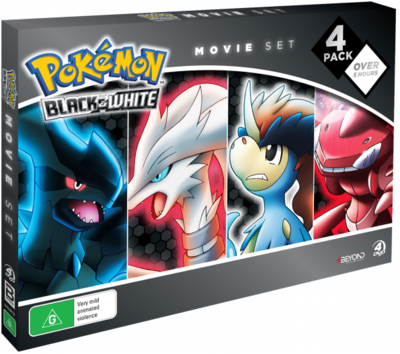 Description Pokemon the Movie Kyurem VS. the Sword of Justice: During a train trip, Ash and friends spot an injured Pokémon they don’t recognize. They’re planning a rescue when the train is attacked by the Legendary Kyurem! 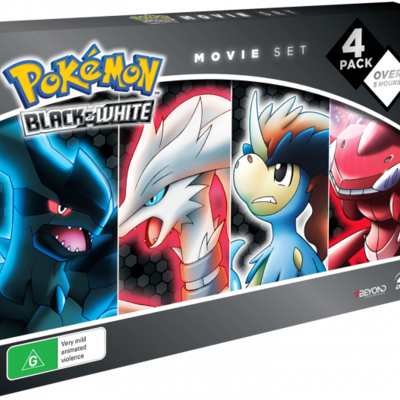 Ash and the others manage to get the unfamiliar Pokémon to safety, and they learn its story… The Mythical Pokémon Keldeo is on a mission to rescue its friends— Cobalion, Terrakion, and Virizion, the Swords of Justice—from Kyurem’s icy clutches. But Kyurem has other ideas, and when it transforms into Black Kyurem or White Kyurem for greater power, things look grim! Can Keldeo find the courage to stand up to this menace? Pokemon the Movie Genesect and the Legend Awakened: A vast Pokémon habitat amid the hustle and bustle of the big city seems like the perfect new home for a group of five Genesect. The arrival of these Mythical Pokémon quickly becomes a problem, though: their nest threatens the city’s power supply, and they keep attacking anyone who approaches it. On top of that, they’ve attracted the attention of the Legendary Pokémon Mewtwo, who sympathizes with them because its own origins also involve human tampering. The group’s leader, known as Red Genesect, doesn’t trust Mewtwo, and their confrontation quickly rages out of control! Can Ash and friends stop these two powerful Pokémon before they destroy the city?